Are you missing out? 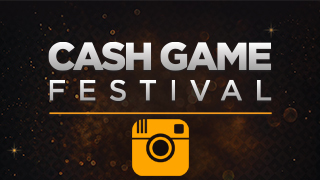 Day 2 of CGF London at Aspers Casino was simply amazing both on and away from the tables. It is difficult to determine where the first day ended and the second day of the CGF London began with many tables running through the night and into the morning. However, for many with the hospitality package, the day began at 3 p.m. for dinner at Cabana Brazil. Well, OK, for some this was breakfast, lunch, or brunch. While being treated to a scrumptious three-course meal, players also enjoyed an endless supply of wine, shots, and nonalcoholic beverages. The action heated up as the day turned into the evening with 18 tables running for many hours on end in a variety of games including no-limit hold’em, pot-limit Omaha, and, of course, Sviten Special. The first televised feature table of Day 2 was a £1/£2 no-limit hold’em affair commentated by Christin Mäemets. 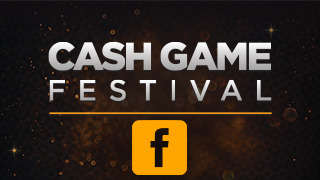 Two 32Red Poker qualifiers Martin Van Den Brom and Angus Dunnigham were in action alongside Cash Game Festival CEO Christian Laas, Andrea DiGiovanni, Marius Dalute, Mahesh Punand, and Robert Aiguo. 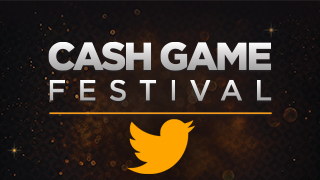 The feature table also featured the return of Cash Game Festival Ed Furniss who had to miss the prior few stops due to other engagements. Ed did not disappoint as he outperformed the rest of the table by booking a profit of £1,052. 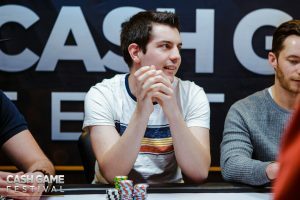 The 526 big blinds in profit temporarily gave Ed the lead in the Cash Game Festival trophy competition to the player that wins the most big blinds on any of the ten feature tables. Ed is also known to love action and have a special passion for Sviten Special which he can only play in a casino during Cash Game Festivals. It comes as no surprise that Ed took no time to take in his big win and immediately joined Peter La Terra, Peter Bergmann, Enri Orav, and others at the £1/£2 Sviten Special side table. 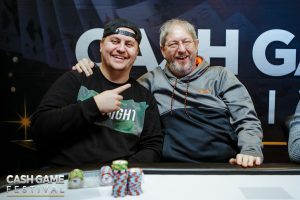 The game changed at the second feature table to £2/£2 pot-limit Omaha featuring many Cash Game Festival favorites including two-time Cash Game Festival trophy winners Jon Kyte and Kevin Malone. Four 32Red Poker qualifiers were also at the table including Mick Smith, Martin Van Den Brom, Christian Braeuer, and Martin Michater. 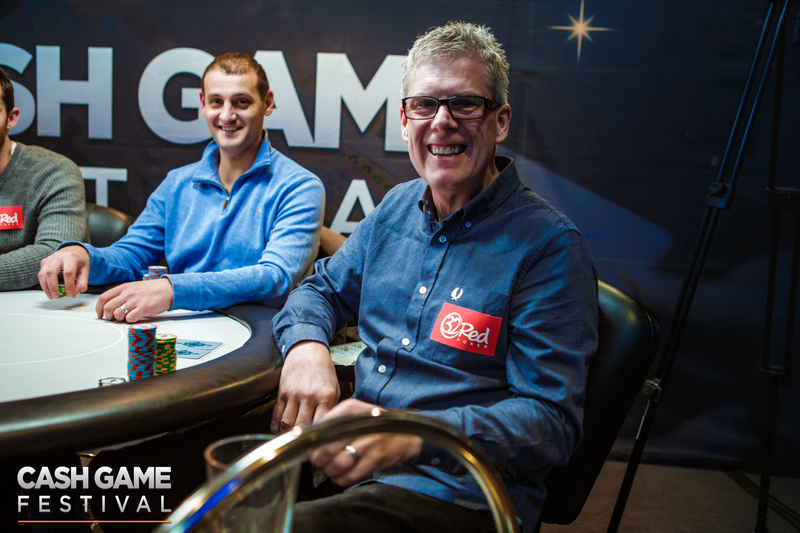 Cash Game Festival veterans Barry McGleenon and Peter Bergmann rounded off the high-octane table. The table featured many big pots with players not afraid to bluff or push small edges. Mick Smith was the star of the show after winning £1,270 in profit. The 635 big blinds in profit are thus far the most at the first four feature tables and pushes Mick into the lead. The action on and away from the tables is expected to be even bigger on Friday’s Day 3 with many players expected to come out for the big weekend action. Players with the hospitality package compete in beer pong at the Bat & Ball. Of course, there will also be cocktails, nonalcoholic drinks, and plenty of snacks to keep everyone happy. The feature tables will provide tons of variety for the fans with what promises to be a big-action £2/£5 pot-limit Omaha game scheduled at 6 p.m. followed by a high-octane £5/£10 no-limit hold’em battle at 9 p.m.